The myth that all fats bad for health seems to have been stuck in the minds of many people. Although the information has shown that the myth isn't true, and has explained that there are different kinds of fats are healthy, but researchers still find the lack of consumption of healthy fats. Based on a survey of 12,000 adults, researchers from the American Heart Association found that trans fat consumption has dropped by 30 percent. This is good news. The bad news, there are still many people who don't consume healthy fats which are needed by the body, one of which is omega-3 fatty acids. Over the years, the consumption of omega-3 remained the same. Fatty acids are classified as important is often ignored and rarely consumed. Although many people know the benefits of omega-3 fatty acids are very rarely people who are trying to fulfill it. Researchers recommend some foods that can meet the needs of omega-3 fatty acids. One of them is fish. Tuna, salmon, mackerel, and sardines are an excellent source for getting omega-3. Other sources of omega-3 is hemp milk and kefir. 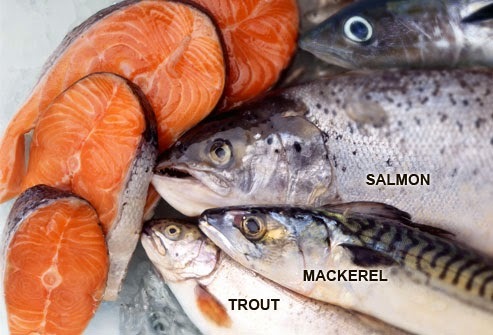 But of course you should choose fish that are still fresh, not canned or processed fish and fish contain fewer minerals. Good Luck and keep Healthy!! !